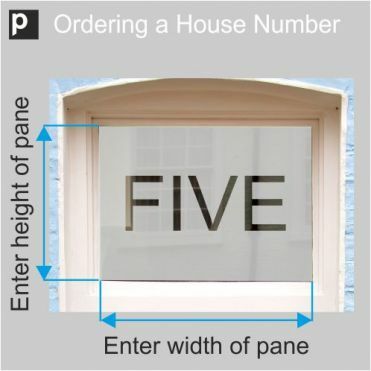 Design your own house number or house name etch effect sticker to your exact measurements, and in a choice of fonts and colours. This option will enable you to have a coloured or clear circle, with an etch effect text, within an etch effect background. 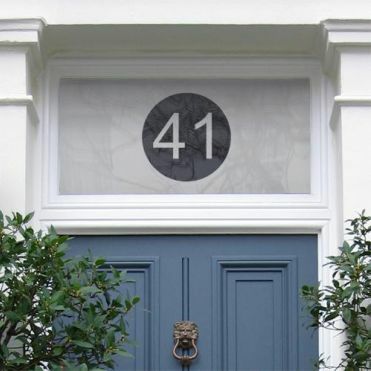 We print the coloured circle directly on stock etch effect film (apart from black which we print on clear film within a printed etch effect background). For transparent circle option, we print an etch effect background on a clear film, leaving the text see through.